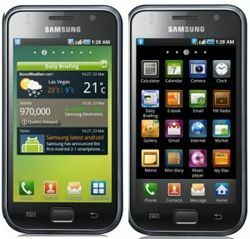 Apple seeks ban on eight Samsung mobile phones after court win | What Hi-Fi? Apple, which last week won its patent lawsuit against Samsung, has asked a court to ban eight Samsung mobile phones on sale in the US. The phones include the Galaxy S 4G (right), Galaxy S2 AT&T model, Galaxy S2 Skyrocket, Galaxy S2 T-Mobile model, Galaxy S2 Epic 4G, Galaxy S Showcase, Droid Charge and Galaxy Prevail. The iPhone maker has also indicated it will seek a sales ban on a total of 18 mobile phones at the heart of the disupte. However, that does not include Samsung's flagship Galaxy S III model, although earlier versions are included. "The court of appeals will review both infringement and the validity of the patent claims. Most of these don't relate to the core Android operating system, and several are being re-examined by the US Patent Office. "The mobile industry is moving fast and all players – including newcomers – are building upon ideas that have been around for decades. We continue to work with our partners to give consumers innovative and affordable products, and we don't want anything to limit that." Last week a jury in California ordered Samsung to pay Apple $1.05bn (£665m) in damages for infringing software and design patents on the iPhone.